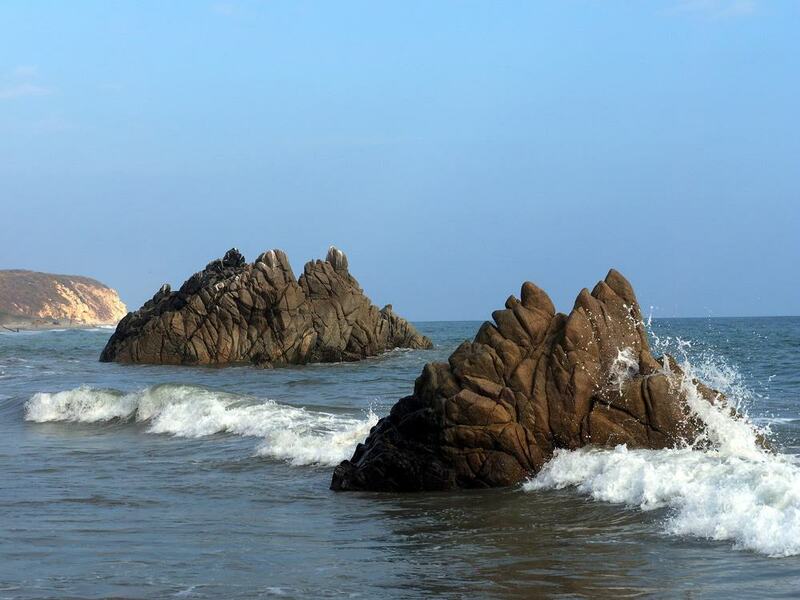 A tropical dreamscape, Huatulco is a small resort in Oaxaca bordering its own national park. Until the airport was modernised in the 2000s there was no easy way down to Huatulco, and even today the only international flights come from Chicago and various airports in Canada. The resort has nine Bays and 36 beaches along 30 kilometres of untouched coastline. 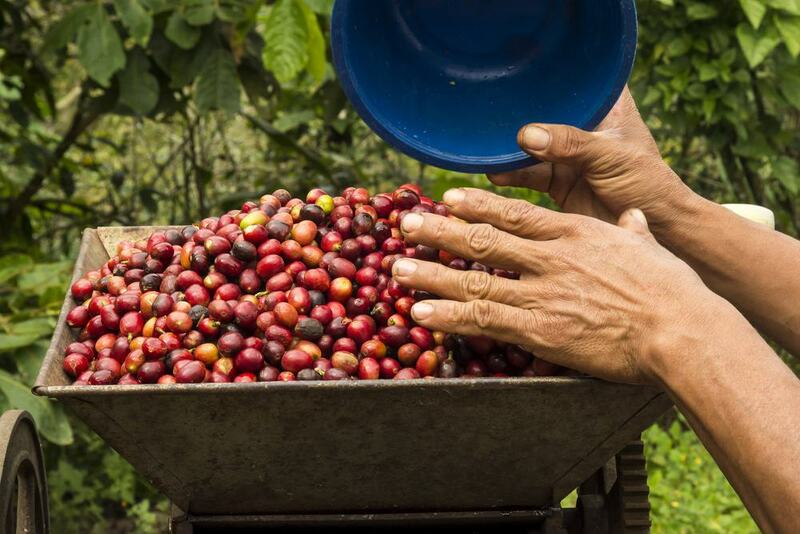 On land are waterfalls, canyons and coffee and tropical fruit plantations. Four different sea turtles inhabit the ocean at Huatulco’s National Park, joined by a whole spectrum of other marine species like angelfish, butterfly fish, rays, dolphins, yellowfin tuna and whales that migrate here in winter. A trip to Huatulco will be a whirlwind of snorkelling, diving, boat trips to deserted beaches and mountain adventures to villages and farms in primal jungle. 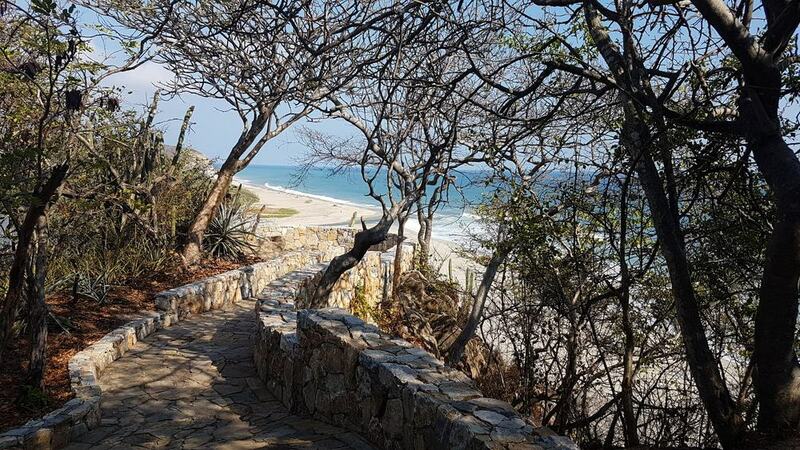 Covering almost 12,000 hectares, the National Park hosts three of Huatulco’s nine bays in a landscape of deciduous forest, mangroves, savannah, wetlands, thorn scrub, floodplains and coral reefs in the water. This mosaic of ecosystems has incredible biodiversity, with more than 700 plant species, 130 mammal varieties, almost 300 bird species and 87 types of amphibian and reptile. In the ocean are numerous marine and intertidal invertebrates as well as over 120 reef and demersal fish. Most people agree that the westernmost of Huatulco’s bays is the prettiest. But because Bahía San Agustín is one of the trickiest to reach it never feels overrun. You can visit by boat or along a dirt track through banana and papaya plantations, and will be met by a 1,500-metre horseshoe beach, backed by a continuous line of restaurants in palapas (palm beach huts). You’ll be tempted not to move from the golden sand of the beach, but Bahía San Agustín has some of the best snorkelling in Huatulco, with crystal clear waters and a reef just metres from the shore with an abundance of life like sea urchins, rays and bright shoals of tropical fish. The definition of a tropical paradise, Bahía de Cacaluta was chosen as a shooting location for Alfonso Cuarón’s 2001 movie Y Tu Mamá También. Within the national park, the only way to visit this bay is by hiking or riding on an ATV through jungle for half an hour, or by boat. Apart from any tourists who have made the journey, the one-kilometre beach will be a deserted swathe of golden sand traced by lush forest. Off shore is an islet with high cliffs, and the currents caused by this landform have given the beach an “m” shape. If you’re a strong swimmer you can push out to the island for some snorkelling and to see the many crabs in its rock pools. Also in the national park, Chachacual is one of the least frequented bays, and the only practical way to approach it is from the water. 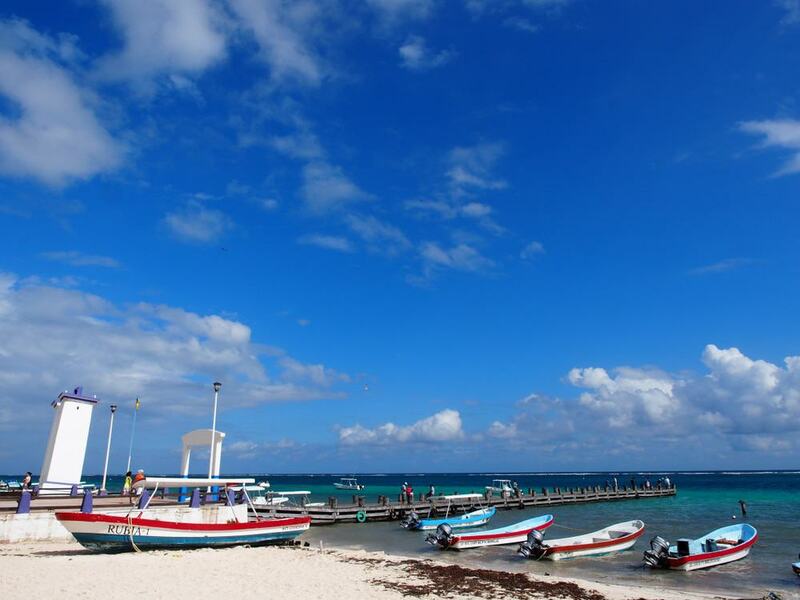 There are two beaches nestling in the bay: Playa Chachacual, the main beach at 1.3 kilometres long, and Playa la India to the east, 350 metres in length and edged by jungle and mangrove forests. The water in the bay has mesmerising green and blue tones, although the currents can be quite powerful. If you’re a stronger swimmer and fancy some snorkelling there are butterfly fish, puffer fish, angelfish and moray eels. And sitting on the shore in winter you may see humpback whale pods passing by. A half-day excursion into the Sierra Madre del Sur, the Cascadas Mágicas is a set of beautiful waterfalls on a tributary of the Río Copalita. The falls are ensconced in dense, remote jungle, you’ll travel in a 4×4 along a twisting mountain road. After paying entrance and hiking through lush jungle you’ll forget all that effort, as you’re confronted by banks of dreamy cascades and emerald pools. There’s a path leading up the side of the falls and through a cave, and you can dive into the clear water, which is wonderfully cool after that jungle trek. 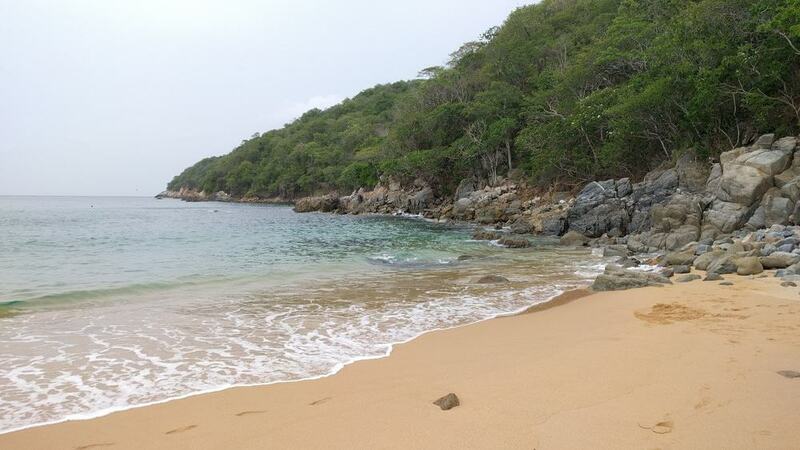 Only ten kilometres from Huatulco’s bays is an archaeological site with vestiges dating between 900 BC and 1000 AD. The grounds, built on the alluvium from the Copalita River and igneous stone by the coast, have jungle teeming with wildlife and coursed by well-paved and signposted trails. A tour of this massive site will take around two hours, and some of the monuments to check out are a large ballcourt, the main temple, a sequence of small plazas with dwellings and a sacrificial stone on a cliff-top. The museum on site chronicles Oaxaca’s Zapotec and Mixtec cultures and has artefacts like ceramic vessels, steles, monumental sculptures and figurines. Another trip into the Sierra Madre del Sur will take you to this botanical garden and farm where you can immerse yourself in Oaxaca’s natural scenery, flora and agriculture. Set in 130 hectares, Hagia Sofia is on the Río Magdalena and cultivates rare timber, fruits (80 varieties) as well as flowers native to Mexico and Southeast Asia. As you’ll be spending a day, breakfast and lunch are included in the tour, comprising fresh fruit grown on the grounds and Oaxacan quesadillas with homemade salsas. One of many highlights will be a walk up the Río Magdalena to the stunning Waterfall of the Bell. Below the archaeological site is a beach at one of the mouths of the River Copatila, changing dramatically with the seasons and tides. Sometimes there will be just a sliver of sand, but usually there’s a large open space where a branch of the river snakes down to the ocean, leaving a lagoon. Surfers hit the waves, and while the currents are too strong for leisurely swimming you can have a wild time bodyboarding. The mud deposited by the river is rich in minerals, and you can ask to be slathered from head to toe, which will leave your skin feeling unusually soft for days after. There’s a couple of beach-side restaurants for a shrimp taco or fish burger and cold beer while watching the surfers in action. There’s no doubt that if you want to get the best out of Huatulco you need to take to the water. You can do this on a private charter or by opting for a group tour on a larger vessel. The theme of your trip will depend on your taste. You may be up for snorkelling, bird-watching, whale-watching (December to March), or keen on finding the most deserted beach possible to feel like a castaway for a few hours. Quiet and intimate is the best way to experience the unspoiled beauty of the national park. You can pick up facts about this ecosystem from an experienced guide, who will point out rays and sea turtles and drop you off at reefs. On board some boats you’ll be able to catch fish like snapper that you can take to the restaurants to be cooked how you like it. 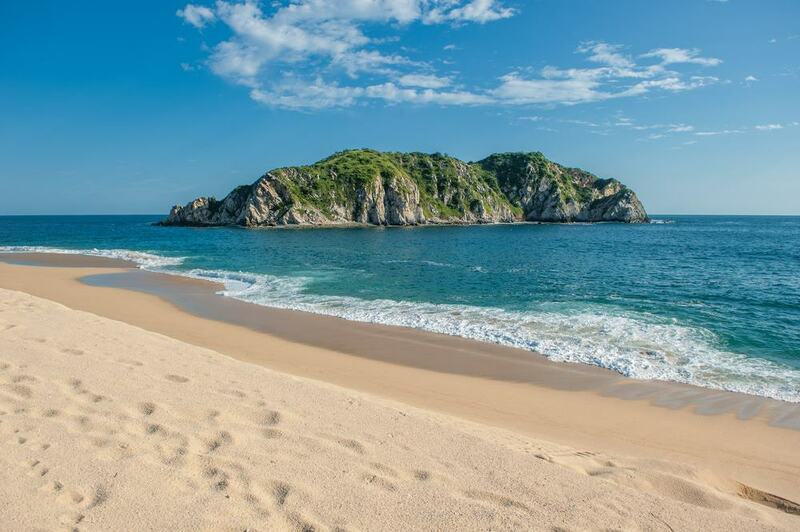 One of the things to note before you come to Huatulco is that Mexico’s Pacific coast is a different proposition to the more famous Mayan Riviera. Sea temperatures fluctuate, even in summer, the currents can be strong and visibility can change from site to site. 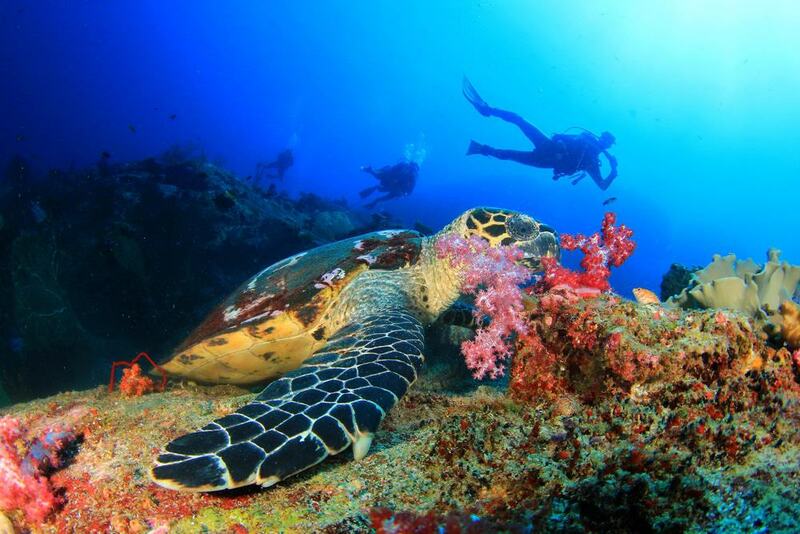 But if you’re an advanced diver looking for once-in-a-lifetime wildlife encounters, Huatulco is all you could want. Along 39 kilometres of coast there are more than 100 sites, at vibrant reefs, strange volcanic rock formations and epic drop-offs. You could dive for a month and never see the same things twice. Four of the seven known sea turtles inhabit these waters, along with four different dolphin species, rays and white tip, nurse and whale sharks. Get in contact with the Huatulco Dive Center and Hurricane Divers for more details. As with diving, surfing conditions in Oaxaca can change from day to day, never mind season to season. But when everything’s just there are world-class breaks. The coast between Huatulco and Salina Cruz, 140 kilometres to the east, is heralded as one of the world’s upcoming surfing meccas. The water temperatures are ideal and you’ll come by strong beach breaks and point breaks caused by the main rocky headlands. 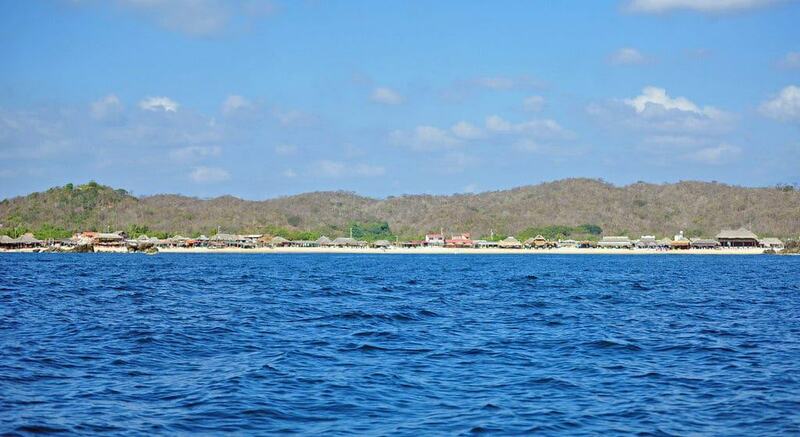 Barra de la Cruz, 30 kilometres from Huatulco, sums the region up. This has a perfect right point break and low-key development that will make you feel like an explorer. Before tourism came to these shores coffee was the main source of income in Huatulco, and several plantations are happy to show you around. 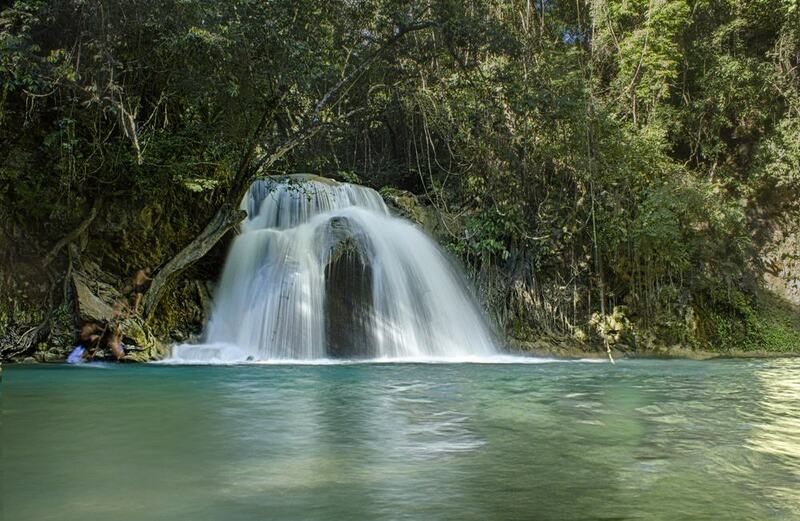 One, Ocean Spray, is often combined with a trip to the Cascadas Mágicas. You can also arrange a day at Finca El Pacífico, which lies the end of circuitous upland road. This massive plantation has around 200,000 coffee trees. You can have a go picking the bright red coffee berries, find out what happens on the plantation on a typical day, and see how the beans are soaked, fermented and then dried on a concrete surface the size of a football pitch. You’ll also get to meet the owner, Señor Gomez and be given an authentic Oaxacan meal at the family home. Sport fishing is big business in Huatulco and there are at least ten fishing charter companies operating out of the tourist marina. 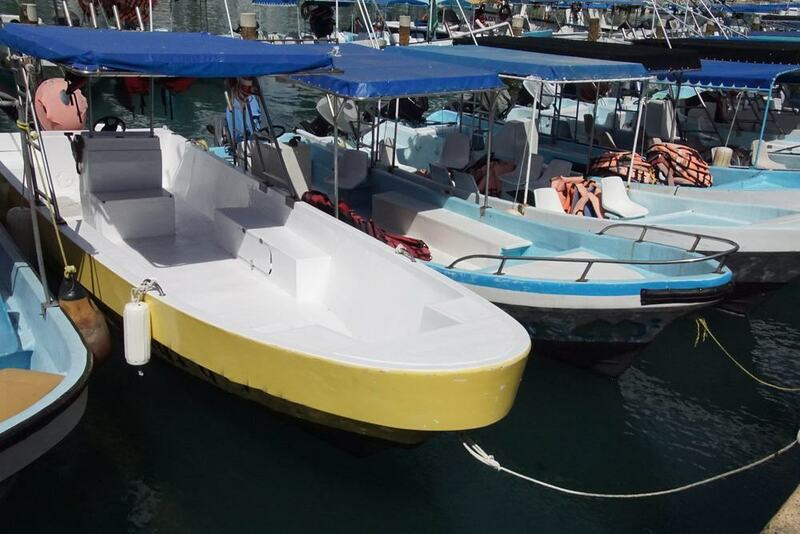 These will take you out on pangas, small motorboats captained by someone with detailed knowledge of the coast and behaviour of Huatulco’s largest fish. Most pangas will have heavy-duty rods and reels on board to catch gigantic yellowfin tuna, sailfish, dorado, pargo, marlin and grouper. Refreshments will be provided and out on the open ocean you’ll have a good chance of sighting migrating humpback whales in the winter months, as well as sea turtles and dolphin pods all year round. 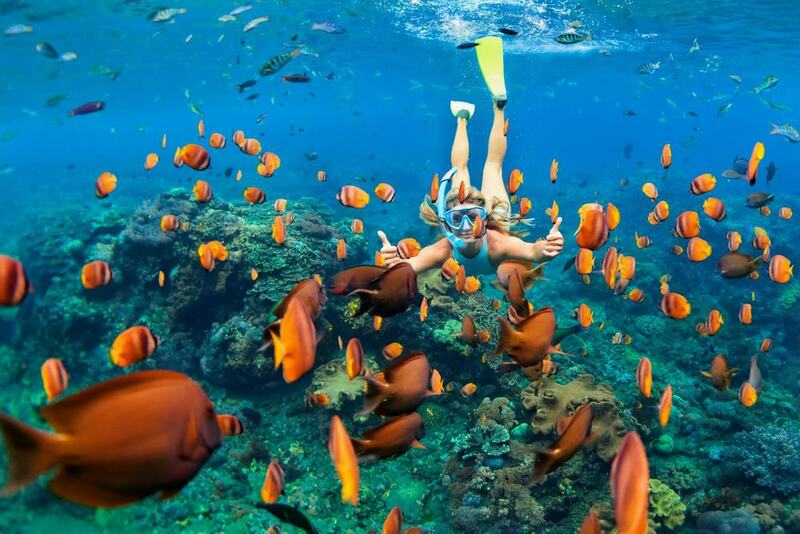 There will also be snorkelling gear if you feel like exploring a reef or two. A holiday in Huatulco will take a lot of planning, because it will be a challenge to pack in all the activities available. In the resort are adventure sports companies ready to whisk you off on ATV tours, whitewater rafting, snorkling, canyoning, rock climbing, mountain biking, horseback riding, guided hikes in the national park and zip-lining over gorges. If a comfortable round of golf is more your speed, Las Parotas is an 18-hole course named for the giant elephant-ear trees (parotas) that frame its fairways. Sustainability is at the heart of the course’s design, including natural hazards and existing woodland into the layout. Since a lot of the activities on offer in Huatulco are day-long organised tours into the wilderness, you’ll have ample opportunity to get to know authentic Oaxacan cuisine. 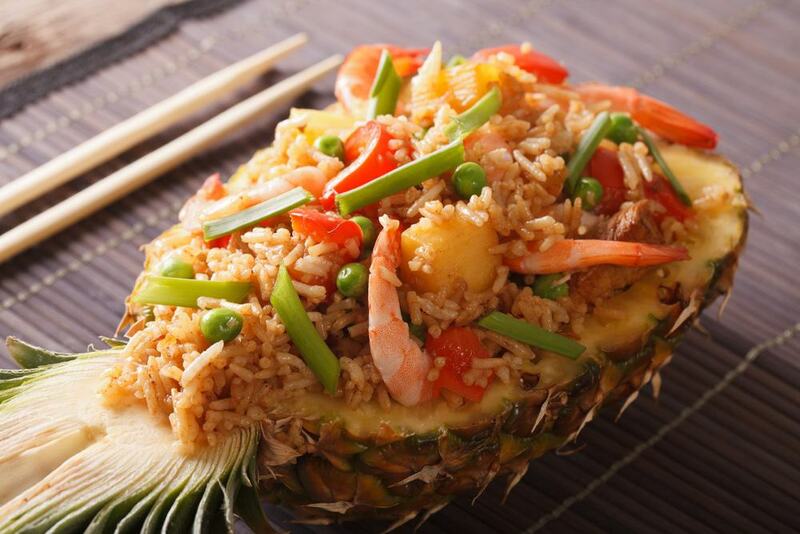 There are also tropical plantations all around, and these are incorporated into recipes like piña rellena con mariscos (pineapple stuffed with seafood). A traditional local way to prepare white fish like snapper is pescado empapelado, cooking the fish in leaves or baking paper and serving it with lime, coriander, chilli and rice. Entomadas meanwhile are corn tortillas fried in oil, filled with some combination of chicken, beef, beans and cheese and submerged in a tomato sauce with chilli, onion, garlic and oregano. For breakfast or lunch try chilaquiles, which are quartered corn tortillas in a mole sauce topped with queso blanco, raw onion rings, avocado and a fried egg.